Get Facebook Subscribe Plugin Button for Websites and Blogs. 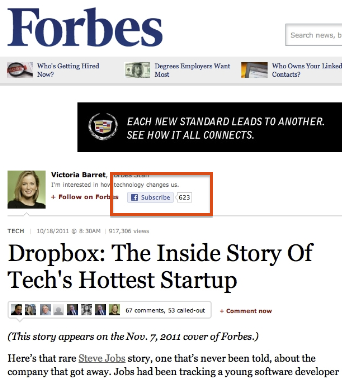 Facebook has officially launched its new Facebook Subscribe Plugin Button for Websites and Blogs. The new Facebook Subscribe Button works same as Facebook Like Plugin Button for websites and blogs according to Facebook's Blog. When any website visitor clicks on the Facebook subscribe button, public posts from the profile subscribed to appear in the subscriber’s news feed. The subscribe action is also shared on news feed. The Facebook subscribe button is only available for Subscribing Facebook Profiles not work with Facebook Pages according to Facebook. Note: Replace XXXX with your desire Facebook Profile Name or ID.